After an interview with EMPIRE's Greg Turner and Brian Hewson in June 2009, We Love Soaps founder Roger Newcomb coined the term "indie soap" and began producing the Indie Soap Beat segment for the We Love Soaps Radio podcast that aired at the time. Later that year, as a way to bring attention to the talented groups and individuals who were creating serialized scripted content for the web, We Love Soaps created the Indie Soap Awards. 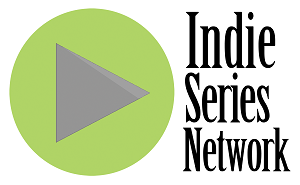 When the first Indie Soap Awards nominations were revealed on January 6, 2010, it was unclear how the web series community would react, would anyone even notice? But the response was instant and overwhelming. We Love Soaps produced a very low-tech pre-recorded "ceremony" that aired the evening of February 1, 2010 (ISA1). Many of the winners created brilliant accept speech videos while others pre-taped speeches and presentations at Shetler Studios in midtown Manhattan. The stream was a hit and a live event was promised for 2011. The nominations for the 2nd Annual ISAs (ISA2) were announced on January 10, 2011, with a ceremony planned for February 21. Once again the indie soap community embraced the idea and the Awards were a smashing success. The event was held at Alvin Ailey Studios in New York with around 125 people in attendance hosted by Emmy winner Martha Byrne. In 2012 (ISA3) the show doubled in size. At least three dozen web series were represented and, for the first time, many of the awards were divided up into Drama and Comedy categories. The ceremony was held on February 21 at New World Stages with over 250 attendees. Actress Colleen Zenk closed the show as the theater filled with bubbles. The 4th Annual Indie Soap Awards (ISA4) took place on February 19, 2013, once again at New World Stages in New York. Colleen Zenk and Kevin Spirtas, who both landed on web series after attending ISA3, opened the close. Two former ISA winners, Martha Byrne and Hillary B. Smith, closed the show as the theater once again was filled with bubbles. The ceremony was livestreamed for the first time ever. 2010: THEN WE GOT HELP! 2011: In a playful nod to the origin of the art form we honored, each Indie Soap Award winner received a one-of-a-kind, 500g block of Savon de Marseille Bonne Mere from L'Occitane. 2012: So many series, so many stories; so many stars. What is it our winners have in common? They take ingredients available to everyone--anecdotes, friends, the Internet--and create original and lasting works of art. Armando Ramirez fashioned each Indie Soap Award specifically for We Love Soaps, LLC by hand, from discarded car parts. Under his care, a spark plug, a potentiometer, and some nuts and bolts become beguiling, unique statuettes. Like our winning indie soaps, the Award itself is a testament to craftsmanship and whimsy, inspiration and perspiration, beauty and wit.